Pearland is a rapidly growing suburb of Houston, TX. It's close to the Texas Medical Center, the University of Houston, Rice University, downtown Houston, Reliant Stadium, The Toyota Center, and Minute Maid Park. If you work in the Medical Center and live in west Pearland, you can hop on Highway 288 and be there in 15 minutes. NASA, the Clear Lake area, and Galveston can all be reached quickly via Beltway 8 and I-45. Students in Pearland attend schools in either Pearland ISD or Alvin ISD. 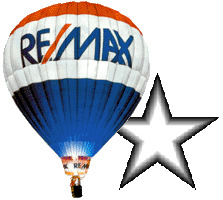 The Silver Star Group of RE/MAX Top Realty has put together a list of homes for sale and lease in Pearland. If you would like to narrow your search, call us or email us and we'll help you get started today.